The decision by Holyrood's corporate body is described as 'a win for gender equality'. Free sanitary products have been introduced at the Scottish Parliament building. The move means any woman, whether visiting or working at Holyrood, will have access to free towels or tampons with immediate effect. 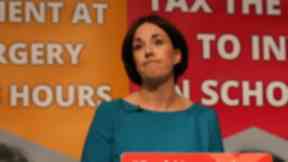 The decision by the Scottish Parliamentary Corporate Body (SPCB) is "a win for gender equality", says ex-Scottish Labour leader Kezia Dugdale. It comes after a raft of campaigns on period poverty have raised awareness of issues around accessibility, affordability and VAT on sanitary products. In March it was revealed a bill to end period poverty proposed by Labour MSP Monica Lennon had been backed by 96% of respondents to a public consultation. Her bill would create a duty on ministers to introduce a universal system of free provision of sanitary products. Schools, colleges and universities would also be required to provide free items for women and girls in their toilets under the proposed legislation. Meanwhile, both Glasgow Central and Edinburgh Waverley train stations agreed in December to begin providing free sanitary products to female passengers. Celtic FC also announced earlier this month it would begin providing free sanitary products for female fans in August. Announcing the free availability of sanitary products in all 42 women's toilets across Holyrood, SPCB member Dugdale said: "Menstruation and menopause continue to be taboo subjects and women often find it difficult to access sanitary products during the working day. 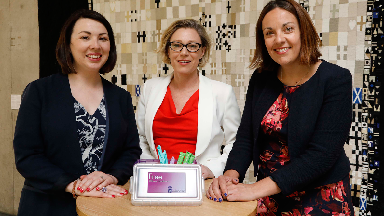 "Despite half of the population experiencing menstruation at some point, very few workplaces have taken steps to become period-friendly and that's why I'm pleased the Scottish Parliament is leading by example. 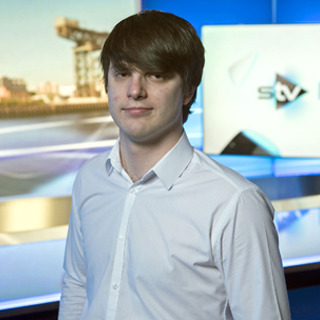 "Whether you work at Holyrood, are a visiting member of the public or are here with classmates on a school trip, you will have fuss-free access to sanitary products should you need them. "Periods are a part of life and good workplace policies like this are good for staff health and wellbeing." She added: "I'm proud the Scottish Parliament is committed to equality and I hope other employers and public buildings will follow suit." Lennon said: "This a welcome announcement and a great victory for gender equality. "I would like to pay tribute to the Scottish Parliament Women's Network for its work in helping deliver this positive and progressive step forward. "But we cannot stop here and that is why the legislative steps we can take with my member's bill to tackle period poverty remain as important as ever. "I call on other parliaments, buildings and employers to take similar action to ensure no one has to live in period poverty - and that is why I have written to the Scottish Government urging them to follow Holyrood's lead and take a similar step." SNP MSP Gillian Martin said: "Having free access to period products is important for women's health and wellbeing. "So well done to the Scottish Parliament for taking this step for equality and we hope that other public buildings follow their lead."